I’m almost done with quilting the light blue. Next color is green. Then the borders. I’m heading off to Road2CA this week. I’m taking some classes and attending some lectures. I’m really excited but not as excited as I was when I attended PIQF years ago. Not sure why. I think it has to do with my energy levels these last couple of weeks. I have been in a crafty slump and I’m just trying to work through it by plugging along and focusing on one or two things. For quilting, that is quilting Tell It To The Stars and piecing block A of Celtic Solstice. I’m sure it has to do with the scrapbook mess that has taken over my sewing room. Maybe I’ll have some time today to scrapbook those pictures I printed last week. In any case, I’m focusing on hand work at Road2CA. I’m taking a hand quilting class and a hand applique class. I need to get my act together today and pack up my stuff. Taking some classes and being around a group of like-minded individuals may be exactly what you need to recharge your batteries. I hope you have a lot of fun on your trip and learn lots of fun new things. Thanks for linking to MCM and enjoy your trip! Who are you taking the classes with? I love that you got to scrapbooking. Hey Melanie….I hope you get your groove back! If you are like me…I get a bit despondent when I don’t have anything new to blog about which is probably why I have so many starts but not so many finishes! 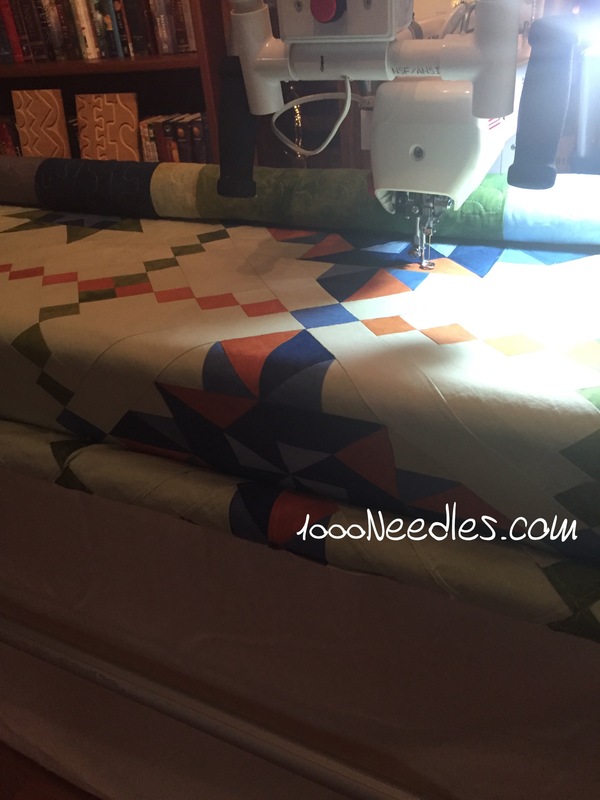 Keep with the quilting task…I am looking forward to that finish! Thanks for linking up with Bits ‘n Bobs for Design Board Monday. I hope you enjoy your workshop classes.